Harriet Bart has been awarded a 2017 McKnight Visual Artist Fellowship. 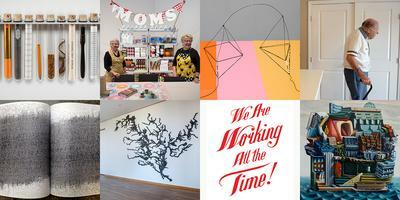 Designed to identify and support outstanding mid-career Minnesota artists, the McKnight Fellowships for Visual Artists provide recipients with $25,000 stipends, public recognition, professional encouragement from national visiting critics, and an opportunity to participate in a speaker series. Driscoll Babcock is pleased to announce Wafaa Bilal’s current exhibition, 168:01, at the Art Gallery of Windsor, Ontario, Canada, is profiled on CNN. Khushbu Shah of CNN writes: At its height, the college of fine arts library at the University of Baghdad housed more than 70,000 books. From floor to ceiling, the topics ranged from the history of art, modern forms of art, and oral history. Students from around the country came to study at the sprawling university campus in the Iraqi capital and study in the massive library. Then came the US-led Iraq invasion in 2003. And when the shells stopped dropping, the books that had not been looted were left as ash. The entire library was destroyed as the rubble settled. 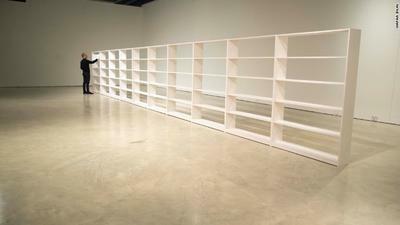 Now, one lone artist is trying to restock those books. The catalogue may be purchased for $30 at the gallery front desk (525 W 25th Street) or over the phone (212-767-1852). Cash, checks, and credit cards are accepted. The enigmatic OCULUS is a powerful architectural, art and virtual reality form that resonates over millennia, from Rome's Pantheon to New York City's new Fulton Center. More than ever before, the OCULUS is a form of artistry, experience and wonder. Join the conversation as we discuss the OCULUS as a provocative portal for entrance, exit and passage. 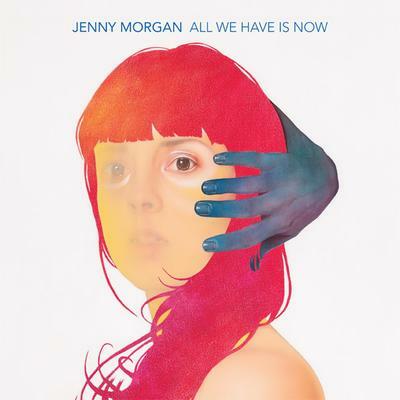 Driscoll Babcock is pleased to announce the release of Jenny Morgan: All We Have is Now, published in conjunction with Morgan’s second solo exhibition at the gallery. This richly illustrated catalogue presents Morgan’s latest body of work, an investigation of darkly charged psychological works in intense hues. Centered on themes of life, death, and rebirth, Morgan’s works question how we relate to our past and challenge us to live in the present. The catalogue reproduces 13 of Morgan’s new paintings in full color and features an in-depth interview with the artist. 13 color plates + 6 color illus. "Multiple Exposures: Jewelry and Photography"
Wafaa Bilal's 3rdi exhibits in "Multiple Exposures: Jewelry and Photography," at the Museum of Arts and Design, September 14, 2014. Accompanying the exhibition is a fully illustrated catalogue, which features Wafaa's work as the cover image! 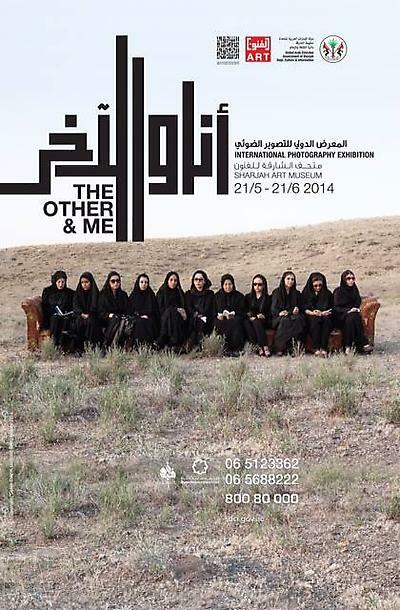 "Wafaa Bilal: The Ashes Series" is concurrently exhibiting at the Sharjah International Photography Exhibition, hosted by Sharjah Museums, United Arab Emirates. "Lists" presents more than 80 lists created by artists and scholars from the US, Germany, France England, Netherlands, New Zealand and Japan. 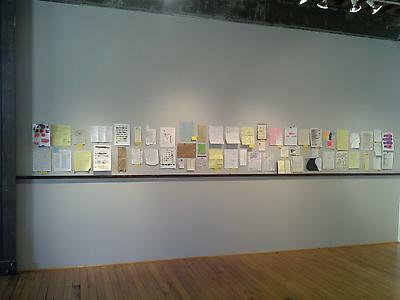 The exhibition features a compendium of lists, including, but not limited to, receipts, document printouts, notebook pages, written, drawn, typed, new, or old. 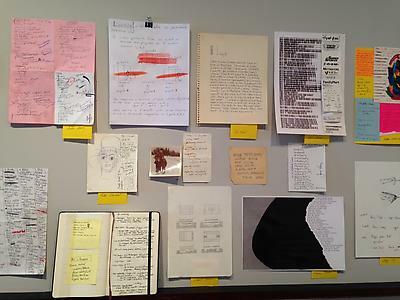 "Lists" is more than an exhibition - it's an archive of daily life, daily art, daily poetry. "Distant Images, Local Positions," curated by Driscoll Babcock artist Wafaa Bilal, addresses the instability of represented geographies in photographs and the dangers of trusting the photographic lens as a narrative authority. Bilal reminds us that photographs are still constructions, and that our understanding of faraway geographies through easily circulated images can give us a skewed perception and illusion of closeness to the places being seen. 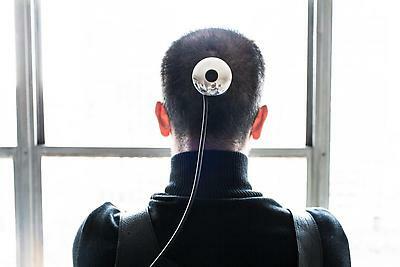 Driscoll Babcock is exhibiting at PUSLE Miami, December 5-8, 2013 at the Ice Palace Studios in Miami, Florida. PULSE Contemporary Art Fair is the leading US art fair dedicated solely to comtemporary art. 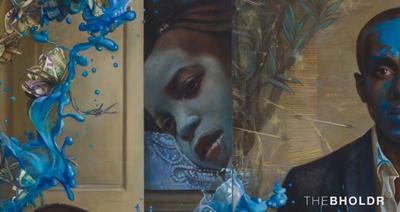 DRISCOLL BABCOCK GALLERIES is pleased to announce its representation of Wafaa Bilal. Bilal joins the gallery’s stable of contemporary artists who are vital to extending visual culture on a global scale. Wafaa Bilal is renowned for provoking dialogue about international politics and internal dynamics through high profile, technologically-driven art projects that employ the use of robotics, the internet, and photographic mobile mapping. His work is constantly informed by the experience of fleeing his homeland of Iraq and existing simultaneously in two worlds – his home in the “comfort zone” of the United States and his consciousness of the “conflict zone” in Iraq. Aware of the disconnect that occurs when we inhabit a comfort zone far from the trauma of a conflict zone, Bilal forces his audiences to become active participants in his reality based on these first-hand experiences. In this way, Bilal’s work is more of a lens than a confrontation, as the artist presents us with his story so that it may be retold, discussed, distributed, and brought into the awareness of a culture that has become disengaged with, and de-sensitized to, the violence and reality of war. Andrade had more than 30 solo exhibitions– including five one-person shows at MB Modern in the fuller Building on 57th Street at Madison Avenue, in New York City. He exhibited at numerous other venues, including Driscoll Babcock Galleries, New York; Cayman Gallery, New York; Michele Mosko Miller Gallery, New York; Gerald Peters Gallery, Santa Fe, NM; Wilhelmi Holland Gallery, Corpus Christi, TX; Edith Baker Gallery, Dallas, TX; Gerald Peters Gallery, Dallas, TX; Caroline Lee Gallery, Houston, TX; Lynn Goode Gallery, Houston, TX; Carrington/Gallagher Gallery, San Antonio, TX; Anarte Gallery, San Antonio, TX; Buchanan Galleries, Galveston, TX; Sylvia Schmitdt Gallery, New Orleans, LO; Barbara Gillman Gallery, Miami Beach, FL; Jerry Solomon Gallery, Los Angeles, CA. 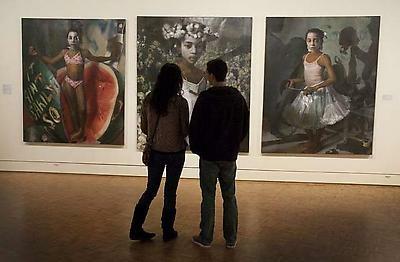 His work was shown in museum exhibitions from California to New York, and abroad through the Art in Embassies program. Andrade’s work accrued critical in The Village Voice, The New Yorker, NY Arts, Art & Antiques and Artforum magazines. He was a recipient of grants from the Ford Foundation, The National Endowment for the Arts, the Smithsonian Institution and Texas A&M. Andrade’s work was featured on the cover of George Vargas’ 2008 book Contemporary Chicano Art, and was featured in numerous other books including Alan Gussow’s The Artist as Native (1993); Gary Keller's (et. al) Contemporary Chicana and Chicano Art (1997); and John Driscoll and Arnold Skolnik’s The Artist and the American Landscape (1998). In 2010 he was the subject of a monograph by John Driscoll, Bruno Andrade: The Nature I Paint, the first book to survey the artist’s achievement. In addition to his very active career as a painter, Andrade was an art professor. He taught for three years at Stephens College, Columbia, MO, before becoming a principle figure in the art history department at his alma matter, Texas A&M University, Corpus Christi, for more than two decades. There he influenced and inspired several generations of young painters through his excellent teaching methodology and his compassionate interest in the professional development of his students. 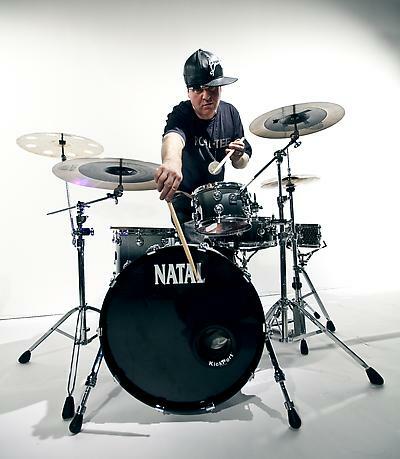 Bruno Andrade’s glittering sense of humor, his pure and guileless spirit, and his richly endowed creative vision were a gift to all who crossed his path. 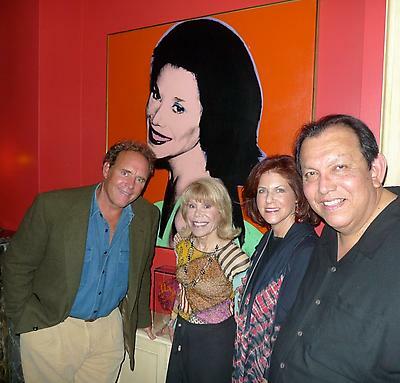 Pictured above, from left to right: James Kiberd, Sondra Gilman, Marylyn Dintenfass, Bruno Andrade. This photograph was taken at the afterparty hosted by Sondra Gilan & Celso Gonzalez-Falla in celebration of Andrade's 2010 Driscoll Babcock Galleries exhibition, "The Nature I Paint." Disturbing The Peace accompanies "Margaret Bowland: Disturbing the Peace," the artist's Spring 2013 exhibition and her second solo show with the gallery. 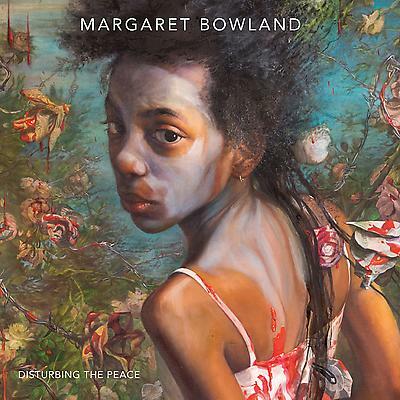 The Greenville County Museum of Art features three paintings by Margaret Bowland in Here's Your Freedom, a group exhibition curated from the museum's permanent collection. Celebrating the human spirit in its pursuit of individual, political, and artistic freedoms, these selections invite viewers to discover and invent their own definitions of freedom. Other artists in the exhibition include Philip Guston, Andy Warhol, Eric Fischl and David Hare. All proceeds from the auction benefit LongHouse Reserve, a non-profit organization founded by Jack Lenor Larsen. LongHouse's collections, gardens, sculpture and programs reflect world cultures and inspire a creative life. Show your support! Online bidding is available until July 19th at 11 PM EST. How To Find A Ghost is Jenny Morgan's latest body of work accompanying her 2013 exhibition at Driscoll Babcock Galleries. This is the artist's first solo exhibition with the gallery, which has been named one of the Top 100 Fall Shows Worldwide by Modern Painters Magazine. Please join us for a conversation with Glenn Adamson, the former director of the Museum of Arts and Design, as he delves into his thoughts on Warren MacKenzie: A Master’s Hand. 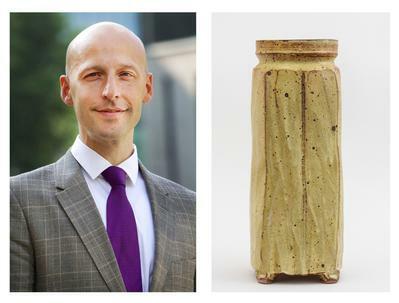 Glenn Adamson is currently Senior Scholar at the Yale Center for British Art, where he is co-curating an exhibition entitled Things of Beauty Growing: British Studio Pottery. 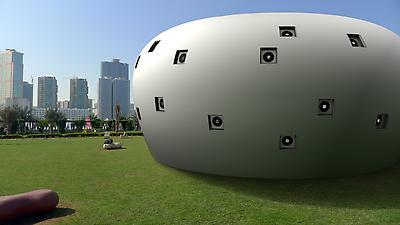 The show is set to open in New Haven in September and will travel thereafter to the Fitzwilliam Museum, Cambridge, UK. A curator and theorist who works across the fields of design, craft and contemporary art, he was until March 2016 the Director of the Museum of Arts and Design, New York, where he recently co-curated the exhibition Voulkos: The Breakthrough Years. At age 93, and revered around the world, Warren MacKenzie is perhaps America’s most-collected 20th century ceramic artist. Mackenzie’s highly productive and widely influential life has seen him become one of the best known and most beloved potters in the world. His gentle yet unequivocal mastery stands alone as a unique and compelling vision endowed by tradition’s rich history and by the intimate nobility of his own creative spirit. Driscoll Babcock Galleries invites you to join Margaret Bowland and Nathaniel Mary Quinn in a discussion moderated by Independent Curator, Dexter Wimberly. 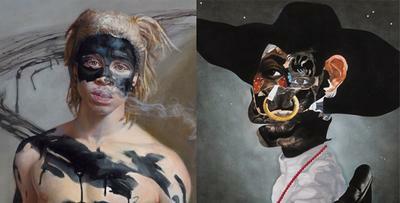 Margaret Bowland and Nathaniel Mary Quinn have established themselves as leading voices in contemporary figurative painting. During the artist talk the two will discuss their creative process, recent projects, as well as the concept of "Power" - the subject of Bowland's third solo exhibition at Driscoll Babcock Galleries. Bowland’s catalogues will be available for purchase and signing following the talk. Watch The Bholdr's recent video interview with Margaret Bowland to gain insights into the artist's current show. "The idea behind POWER, for me, is that people don't know what it is. They're born into a maelstrom of powers that affect their lives....What is behind the power that is controlling your life?" 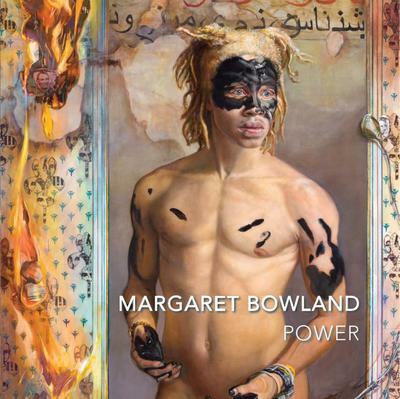 Margaret Bowland: Power will be on display at the gallery through December 12th. Marylyn Dintenfass: Painted Anthology, a survey exhibition the artist’s major themes from the last several years, opens August 24, 2015 at the Morrison Gallery, The University of Minnesota, Morris. In this selection of works, Dintenfass explores various dichotomies and intersections that draw from the seductive danger of candy, the iconic Postwar muscle car, and the expressive intersections between visual art and music; a preview of Dintenfass’s newest body of work, Oculus, is also on view. 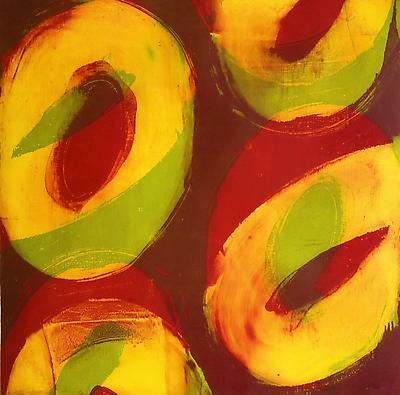 This exhibition of major works gives an overview of Dintenfass’s vision: her gestural mark making, uncanny sense of color, and diverse application of the circular motif transformed across various media and scales. 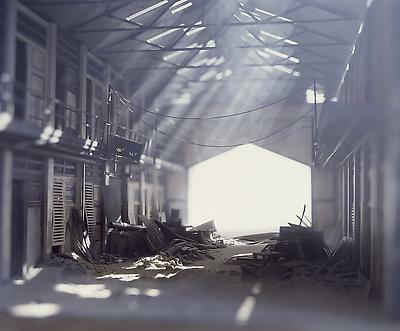 Driscoll Babcock artists Harriet Bart and Margaret Bowland will be featured in the 2015 SPRING/BREAK Art Show, a curator-driven art fair during Armory Arts week. Bart and Bowland's work will be exhibited alongside artists Nancy Lorenz and Mark Wagner in MEDIUM OF EXCHANGE, curated by Tess Sol Schwab. 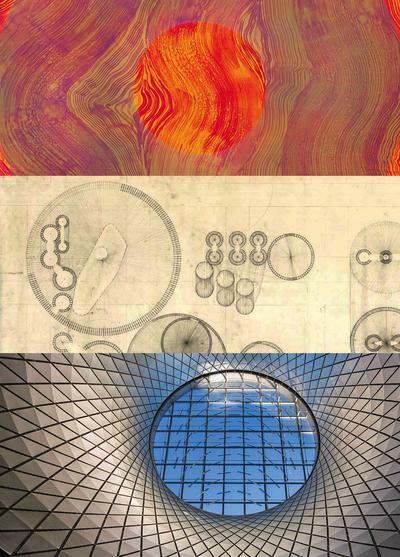 SPRING/BREAK Art Show brings together more than 80 individual curators who will showcase unique, museum-quality projects at Skylight at Moynihan Station, 307 West 31st Street (at 8th Avenue) from March 4-8, 2015, with exhibitions conceived around this year’s central curatorial theme, TRANSACTION. Please see attached press release for additional information. Seven oil paintings by Jenny Morgan will exhibit at MOCA Jacksonville's upcoming exhibition, "Great Real: New American Painting"
After curating pop-up art shows in Los Angeles and in Montauk in 2013,The Committee, the New York City-based cultural programming agency, is pleased to present The Summer Show, the first in a series of seasonal happenings to be produced in, and around, Manhattan in 2014 and 2015. Thisthree-day exhibition will be on view at S Artspace, located at 345 Broome Street, New York, New York, 10013, from Thursday, July 10 through Saturday, July 12, 2014. 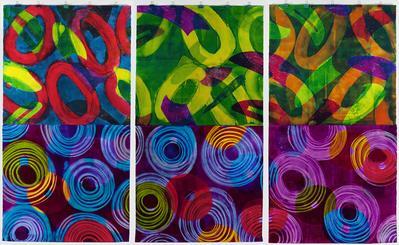 The exhibition will feature 3 oil on paper monotypes by Marylyn Dintenfass. 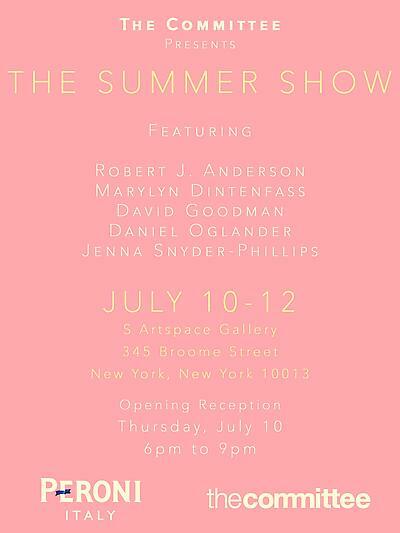 Dintenfass exhibits alongside Robert J. Anderson, David Goodman, Daniel Oglander and Jenna Snyder-Phillips. After a successful May 3rd opening, with over 1,000 guests in attendance, "Lists" has captured the attention of the press and local arts organizations. Following its June 30th closing date at STUDIO/GALLERY 308 in Minneapolis, MN, the exhibition will travel to the Helen Day Art Center in Stowe, VT. In Erasing, the artist ritually selects a square to be cut and removed from a photographic image of Saddam Hussein’s destroyed palace. He then archives the squares as if they were dissected specimens. These fragmented pieces of information call out for further investigation and understanding. Each detail of the process—from the artist’s time of arrival, to the formal aspects of the selected square—is fully documented. 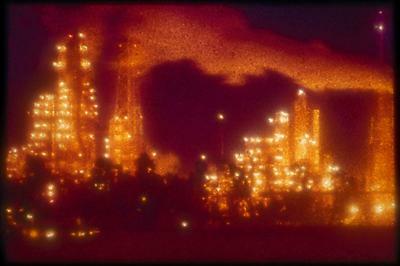 Bilal’s direct and particular interaction with the image allows him to revisit his native country of Iraq, from which he can no longer physically return, and create further distortion of the image through the filter of personal contemplation, while also inviting the public to engage in the profane from the safety of the gallery setting. Wafaa Bilal discusses his sculpture, THE HIERARCHY OF BEING, 2013-14, with Sara Raza, Maraya Art Centre Associate Curator, and Aida Mahmudova, Baku-based artist and founder of YARAT Contemporary Art Space. The sculpture will provide an access point for conversation about the importance of public art projects in global cultural cities, such as Sharjah and Baku, Azerbaijan. 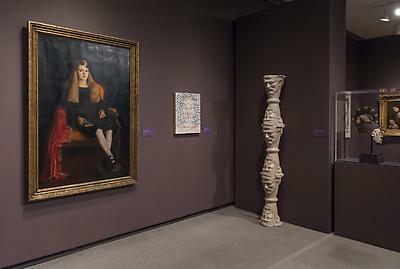 The Katonah Museum prompts a debate with a provocative and interactive approach to portraiture. Based on the ideas that no two people respond to an artwork the same way, and that any single artwork conveys many meanings, Eye to I explores the countless ways individuals experience imagery. Driscoll Babcock is exhibiting at The American Art Fair, December 2-5, 2013 at the Bohemian National Hall, New York, NY. 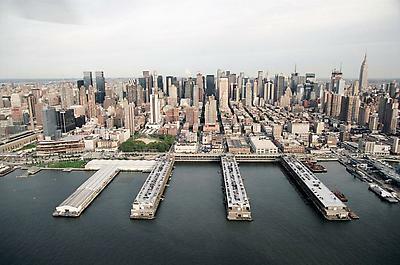 The American Art Fair is the only art fair that focuses on American 19th and 20th century works. Driscoll Babcock's booth features a group exhibition celebrating over 100 years of outstanding American works on paper. From preparatory sketches to highly finished works of art, the exhibition explores the multitude of applications of the paper support. 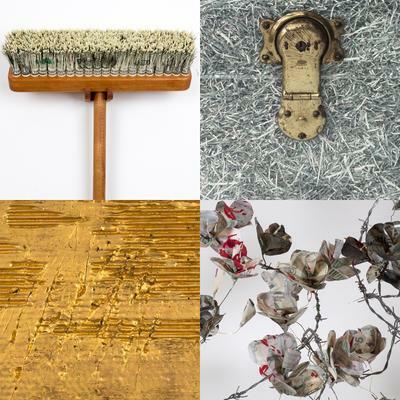 Driscoll Babcock is pleased to participate in "The Curiously Inspired Chelsea Art Trek," Thursday, November 14, 2013, 6-7:30PM. 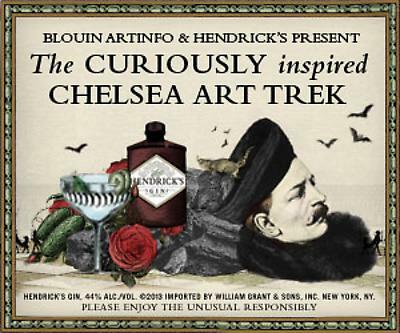 BLOUIN ARTINFO joins with Henrick's Gin in promoting two walks through Chelsea Galleries with a reception to follow at the Hôtel Americano at 518 West 27th Street. The walks each hit four galleries. Written clues are displayed at each gallery, and the answers they yield become the invitation to the reception. Find Driscoll Babcock on the first walk walk, entitled “The Exquisite Spatial Adventure,” the all-painting tour. 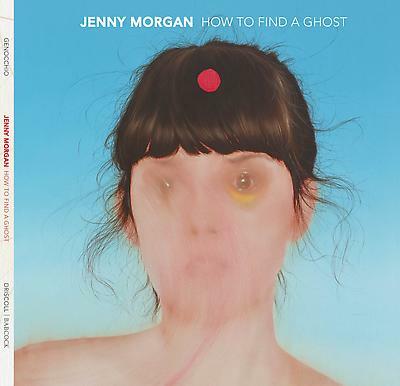 Participation in the Chelsea Art Trek grants visitors exclusive access to an after-hours viewing of our current exhibition, "Jenny Morgan: How To Find A Ghost." 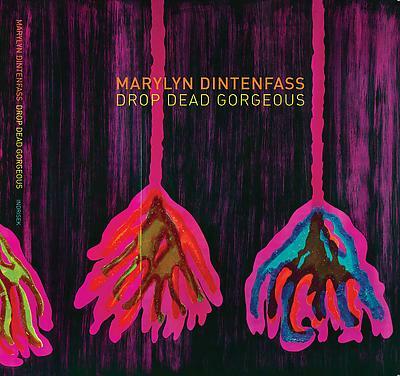 Drop Dead Gorgeous is Marylyn Dintenfass' latest body of brilliant chromatic abstractions evoking a representational narrative about nature's fatally duplicitous markets. Her work has always embodied the uneasy theme of "things are not what they seem." Here she explores the intricate metaphorical nature of her own relationship with visual reality and abstraction, with seeing and perception, with what is known and what is sensed. Dintenfass' savoring of the duality of blessings and curses is revealed in these new canvases, which draw their inspriation from some of nature's most beautiful yet dangerous plants. Foreword by John Driscoll, Ph.D.
Chelsea Art Walk is a community-based collaborative event organized to encourage new audiences for exciting group exhibitions and special projects only on view during the summer. Over the last three years, Chelsea Art Walk has welcomed thousands of visitors for this one-night-only event, spanning venues from 19th to 29th Street between 10th and 11th Avenue. Driscoll Babcock is one of a select group of premier art destinations along this unique, self-guided walking tour through the SoHo and Chelsea art districts. Ticket purchasers are granted access to The New Yorker's wrap party and silent auction at Hudson Studios immediately following the gallery walk, 6-8PM, where this Marylyn Dintenfass print will be available for purchase at the silent auction. All proceeds from the silent auction will benefit arts organization Creative Time. 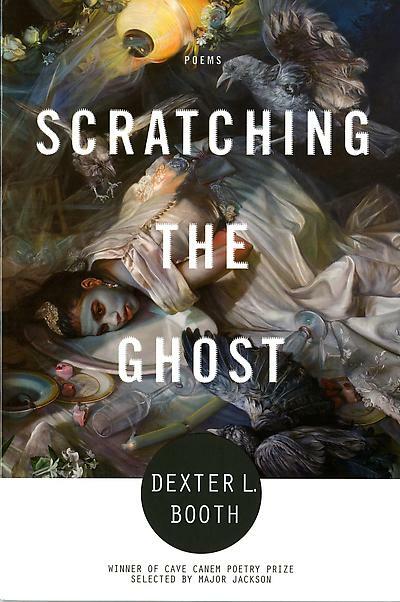 Margaret Bowland on the cover of "Scratching the Ghost"
Margaret Bowland's WHITE CROWS #1, 2007 is the cover image of Dexter L. Booth's 2013 book of poetry entitled "Scratching the Ghost." Booth is the winner of 2012 Cave Canem Poetry Prize. 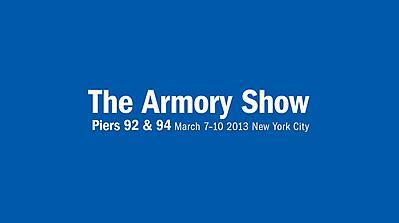 For the third consecutive year, Driscoll Babcock exhibits at the 2013 Armory Show - Modern on Pier 92, March 7-10, 2013.